Patna: A temple in Bihar was filled with screams and panic after a teenaged girl scooped out her left eye to offer it to a deity during the ongoing Chaitra Navratra— a popular nine-day festival of Hindus — to appease the Goddess. The incident took place at a temple dedicated to Goddess Durga located at Sirua village under Bahedi police station in Darbhanga district on Saturday. Witnesses said the Komari Kumari, 16, reached the temple in the morning, got closer to the idol and pressed her fingers to take out her eye with her face down. “Initially, we thought she was deep in meditation but when we saw blood trickling down her face and eyeball hanging from the socket, we screamed,” a witnesses said. A police official said the girl was seen holding her right fist over her left eye and asking the priest if she could offer her eye to the deity. "Shocked devotes stopped her from reaching the idol,” a local police official Sanjay Kumar said. The girl was taken to Darbhanga Medical College and Hospital where her damaged eye was refitted in the socket. 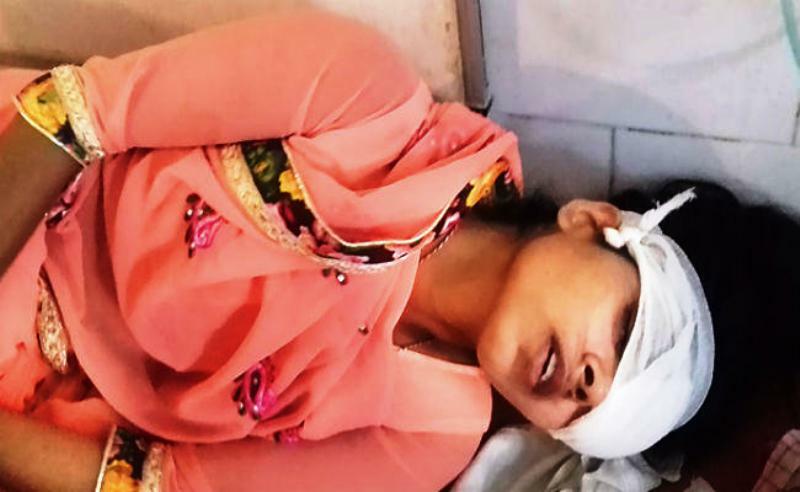 “The girl told us she took out her eyes with her fingers,” hospital superintendent Dr Santosh Kumar Mishra said, describing it as a “rarest of rare incident”. Doctors are unsure if she will be able to see from that eye. “We have operated upon her eye and managed to set it in the socket but we think she has lost her vision,” Dr Manoj Kumar who operated upon her eye said. The girl who failed the Grade 10 examination twice claims to be an ardent devotee of the deity for the past one decade. “For the past two years, the goddess has been visiting me in my dreams, asking me to offer a her soft organ. I offered my eye to please the deity,” said the wounded girl lying at the hospital bed. “This thinking and action are clearly an act of delusion, which could originate from a distorted perception of reality. What this girl did is an extreme case of superstition,” a Patna-based clinical psychologist Dr Binda Singh said. Ardent devotees are known to offer fingers or tongues to the deities but this is the first time anyone has offered an eye to a deity.